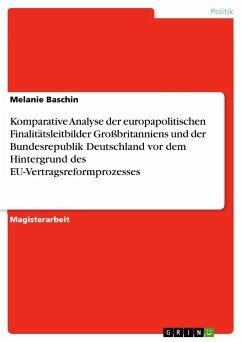 Entwicklung von Wohlfahrtsstaaten. Sind die Leistungen des Staates in den Zeiten von "Geiz ist geil" zur Selbstverständlichkeit geworden? 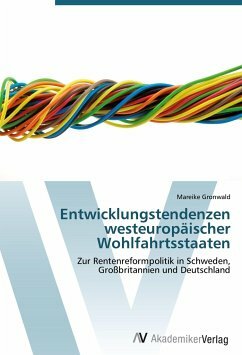 Studienarbeit aus dem Jahr 2007 im Fachbereich Politik - Internationale Politik - Region: Westeuropa, Note: 2,3, Ernst-Moritz-Arndt-Universität Greifswald (Institut für Politikwissenschaft), Veranstaltung: Hauptseminar: Der Wohlfahrtsstaat im Ostseeraum, Sprache: Deutsch, Abstract: This work pointed out the fiscal policy of the two distinctive welfare states Germany and Sweden in a comparative way. The empirical outcome of the indicators dataset concedes Sweden a more efficient ability to a crisis response both in the decade 1990-2000 and in the period of 2000-2006. The main cause for Germany's deficit was the governments' inability in the nineties of the last century to raise the general taxes to the debit of a solid budget. But differently from Sweden Germany had to manage and reduce financial deficits as a result of the reunification of the two German republics in 1990. Nevertheless the conservative governments made mistakes when they pursued an inflexible policy course. After the two global recessions around 1990 and 2000 Sweden's fiscal policy had react by an anti cyclic way which is the classic way to come out of a macroeconomic crisis. Germany had burdened the social security's budget with a rising of the social contribution instead of going the anti cyclic way too.